I’m a bit smitten with Murakami Takashi’s style (points to blog header), so I’m ecstatic that Paji is getting a reprint with a ridiculously adorable cover. Momo is a 4 year old girl who lost both her parents. She now lives with her grandfather, who she calls “Paji.” Paji is shortened from a phrase (パパ代わりのおじいちゃん) which just says he’s a substitute father (Papa+Ojii-chan=Paji). 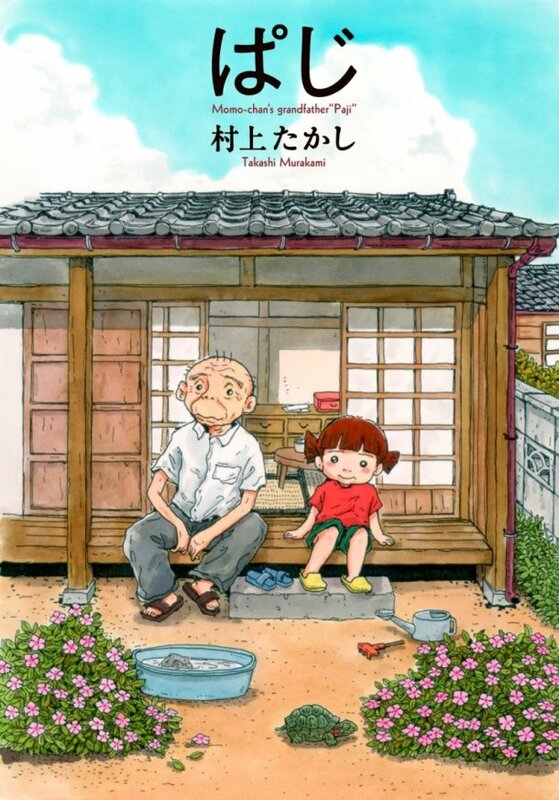 The story is about their simple, but warm life together in their friendly neighborhood. It’s supposed to be a very “human” story. Considering his ability to make good slice of life manga (which I normally steer clear of), I believe it. This reprint is a compilation of the “best” material from the original 9 volumes that were published from 1999-2004. There will also be an original story, new illustrations, and afterword included. A story for people who love both dogs and life. Hoshi Mamoru Inu begins at the end. A man’s corpse is discovered in a rusted station wagon, left to decay untouched for a year. Nestled below that body was a smaller, less decayed form. It was a dog that had been dead for only about 3 months. What led these two to this journey’s end?